Hardware wallets keep your private key on physical device, with a password or pin. There are a few new products entering the market, however we’ll only mention the models we’ve tried and use ourselves. What Do You Do If You Lose Your Hardware Wallet? When you receive your wallet you are given a 24 word set of codes that can recreate your wallet if it gets lost or stolen, and you also need a passcode to use it. 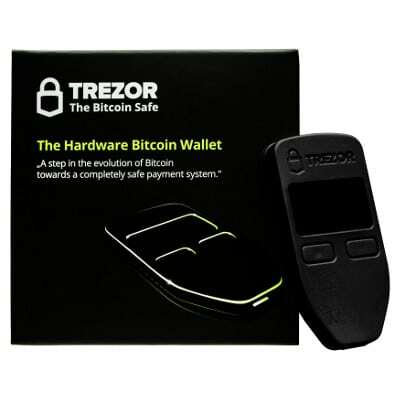 How Secure Is The Hardware Wallet? They are constructed using a tamper proof components, and are designed to provide a high level of security, all you have to do is follow the setup instructions. How Do You Choose A Hardware Wallet? If you’re not sure which device is right for you, check out some of the YouTube reviews and walkthroughs. Be sure to also purchase from a trusted source (preferably direct from the manufacturer), this isn’t the type of device you want to skimp on and get off an unknown seller on eBay or Gumtree. 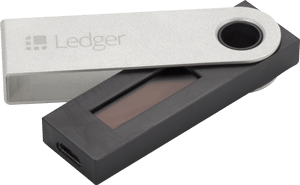 At the time of writing, the popular hardware wallets are the Nano Ledger S and the Trezor, however both are frequently listed as out of stock. Over time, I’m sure we’ll see more consistent stock levels and competing devices.